This Website located at www.biotoy.com (the “Website”) is owned and operated by BioToy LLC, an Arizona limited liability company (“BioToy”). You expressly agree that you will not use this Website or any other internet services provided by BioToy for any purpose that is unlawful or prohibited by these terms, conditions, and notices. You agree to abide by all applicable local, state, national, and international laws and regulations and are solely responsible for all acts or omissions that occur under your account. Any unauthorized commercial use of this Website, BioToy’s servers or internet infrastructure is expressly prohibited. You will not use any device, software or routine to interfere or attempt to interfere with the proper working of this Website as determined by BioToy in its sole discretion. 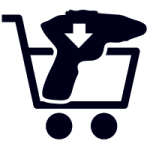 Prices: Prices of products and delivery and other charges displayed on this Website are current at the time of issue, but may be changed at any time without notice and are subject to availability. Stated prices do not include shipping and handling or taxes. You are solely responsible for any sales, local or similar taxes and duties or other liabilities imposed by any governmental agency, including without limitation, any customs duty, goods and services taxes imposed on any products ordered by you from this Website. All prices are stated in United States dollars. Charges: If you purchase by credit card, we may authorize the amount of your purchase with your credit card issuer at the time you place your order. Availability: We cannot guarantee availability of product, even if our Website shows that a particular product is available. We may not have all products or product lines available online and we may discontinue products or change prices at any time. Products Purchased Elsewhere: We cannot guarantee that products shipped from retailers other than BioToy will not be damaged during shipment. If you received damaged goods from another store or internet retailer, please report any damages directly to that company. Please do not report these damages to BioToy. Defective Products: We will repair or replace, at our option, any product ordered from BioToy.com which is defective upon delivery. You must contact us at the customer support number or email address above before returning any product. Promotions and Pricing: Promotional pricing may be restricted to defined groups of people for specific periods of time while supplies last– any promotion may be discontinued at any time and without notice. Please see the terms and conditions for each promotion that may be applicable to your purchase. Orders: We reserve the right to refuse or cancel any order you place with us. We may, in our sole discretion, limit or cancel quantities purchased per person, per household or per order. These restrictions may include orders placed by or under the same customer account, the same credit card, and/or orders that use the same billing and/or shipping address. We reserve the right to limit or prohibit orders that, in our sole judgment, appear to be placed by dealers, resellers, or distributors. If your credit card has already been charged for an order at the time it is rejected, declined or cancelled, we will issue a credit to the credit card account which was charged. BioToy does not accept unsolicited ideas, concepts, proposals or other submissions with respect to its existing or any new products. By submitting any ideas, concepts, proposals or other submissions with respect to BioToy’s existing products or any new product, even if done in response to a request for feedback on a product from fans, you automatically grant (or warrant that the owner of such rights has expressly granted) to BioToy a perpetual, royalty-free, irrevocable, non-exclusive right and license to use, reproduce, modify, adapt, publish, translate, create derivative works from, and distribute your submission or incorporate your submission into any form, medium, or technology (now known or hereafter developed or devised) throughout the universe. In addition, you warrant that all so-called “moral rights” and other rights recognized throughout the world (including without limitation, the European Economic Community) in your submission have been waived and that BioToy has the unrestricted right to modify, edit, alter and change your submission without your or any other person’s consent. There is no contract, implied or otherwise, that BioToy will compensate you for the use of your submission and, pursuant to the foregoing, BioToy will not compensate you for any such use. All software, designs, text, images, photographs, illustrations, audio clips, video clips, artwork, graphic material, data and other copyrightable elements, and the selection and arrangements thereof, and all trademarks, service marks, trade dress and trade names which are part of or displayed through this Website (the “Materials”) are the property of BioToy and are protected, without limitation, pursuant to U.S. and foreign copyright and trademark laws. THIS WEBSITE AND ALL MATERIALS CONTAINED ON IT ARE DISTRIBUTED AND TRANSMITTED ON AN “AS IS” AND “AS AVAILABLE” BASIS, WITHOUT WARRANTIES OF ANY KIND, EITHER EXPRESS OR IMPLIED. TO THE FULLEST EXTENT PERMISSIBLE UNDER APPLICABLE LAW, BIOTOY DISCLAIMS ALL WARRANTIES, EXPRESS OR IMPLIED, INCLUDING, WITHOUT LIMITATION, WARRANTIES OF MERCHANTABILITY OR FITNESS FOR A PARTICULAR PURPOSE. BIOTOY DOES NOT WARRANT THAT THE FUNCTIONS CONTAINED IN THE SITE OR MATERIALS WILL BE UNINTERRUPTED OR ERROR-FREE, THAT DEFECTS WILL BE CORRECTED, OR THAT THIS SITE OR THE SERVERS THAT MAKE IT AVAILABLE ARE FREE OF VIRUSES OR OTHER HARMFUL COMPONENTS. BIOTOY DOES NOT WARRANT OR MAKE ANY REPRESENTATIONS REGARDING THE USE OF THIS WEBSITE OR THE INFORMATION CONTAINED IN IT WITH REGARD TO THEIR CORRECTNESS, ACCURACY, RELIABILITY, OR OTHERWISE. THE ENTIRE RISK AS TO THE QUALITY, ACCURACY, ADEQUACY, COMPLETENESS, CORRECTNESS AND VALIDITY OF ANY MATERIAL RESTS WITH YOU. YOU, NOT BIOTOY, ASSUME THE COMPLETE COST OF ALL NECESSARY SERVICING, REPAIR, OR CORRECTION. TO THE FULLEST EXTENT PERMISSIBLE PURSUANT TO APPLICABLE LAW, BIOTOY, ITS AFFILIATES, AND THEIR RESPECTIVE OFFICERS, DIRECTORS, EMPLOYEES, AGENTS, LICENSORS, REPRESENTATIVES, AND THIRD PARTY PROVIDERS TO THIS WEBSITE WILL NOT BE LIABLE FOR DAMAGES OF ANY KIND INCLUDING, WITHOUT LIMITATION, COMPENSATORY, CONSEQUENTIAL, INCIDENTAL, INDIRECT, SPECIAL OR SIMILAR DAMAGES, THAT MAY RESULT FROM THE USE OF, OR THE INABILITY TO USE, THE MATERIALS CONTAINED ON THIS WEBSITE, WHETHER THE MATERIAL IS PROVIDED OR OTHERWISE SUPPLIED BY BIOTOY, YOU OR ANY THIRD PARTY AND REGARDLESS OF WHETHER BIOTOY IS AWARE OF OR HAS BEEN ADVISED OF THE POSSIBILITY OF SUCH DAMAGES. WITHOUT LIMITING THE GENERALITY OF THE FOREGOING, IN NO EVENT SHALL BIOTOY HAVE ANY LIABILITY TO YOU FOR ANY CLAIMS, DAMAGES, LOSSES, AND CAUSES OF ACTION (WHETHER IN CONTRACT, TORT OR OTHERWISE) EXCEEDING THE AMOUNT PAID BY YOU, IF ANY, FOR ACCESSING THIS SITE. BioToy and Splashlight are registered trademarks and ReLume is a trademark of BioToy (collectively the “Trademarks”). Your misuse of the Trademarks displayed on this Website, or any other content on this Website, except as provided herein, is strictly prohibited. Nothing contained on this Website should be construed as granting any license or right to use any Trademark displayed on this Website without the prior written permission of BioToy. If you use this Website from other locations you are responsible for compliance with local laws and regulations. BioToy products are available in many parts of the world; however, this Website may describe products that are not available in your jurisdiction. This agreement constitutes the entire agreement between you and BioToy with respect to this Website and related services and supersedes all prior or contemporaneous terms or conditions, oral or written, between user and BioToy. A printed version of this agreement and of any notice given in electronic form shall be admissible in judicial or administrative proceedings based upon or relating to this agreement to the same extent and subject to the same conditions as other business documents and records originally generated and maintained in printed form. Any cause of action arising out of or related to this Website or its service must commence within one (1) year after the cause of action arose; otherwise, such cause of action is permanently barred.